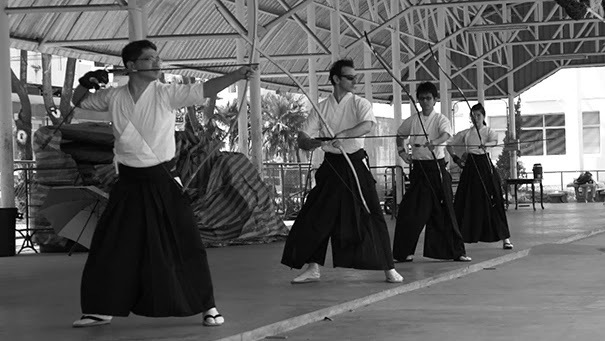 Time: 09:30 am. 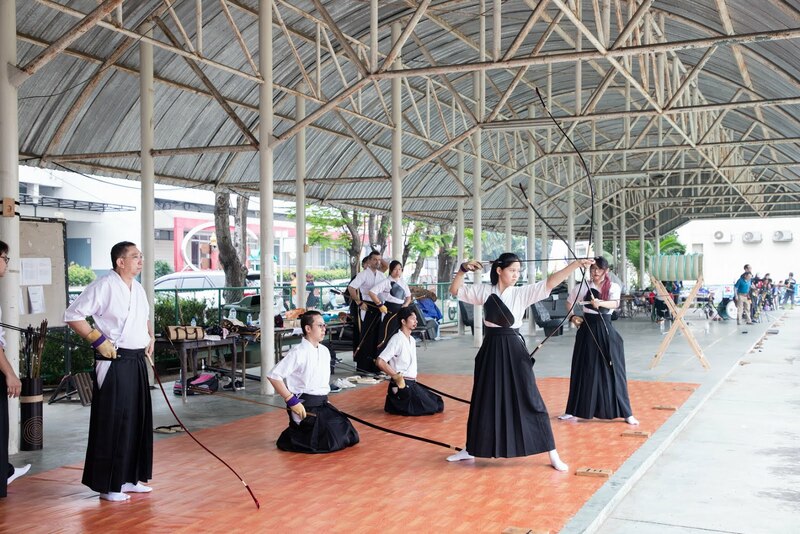 to 01:00 pm. 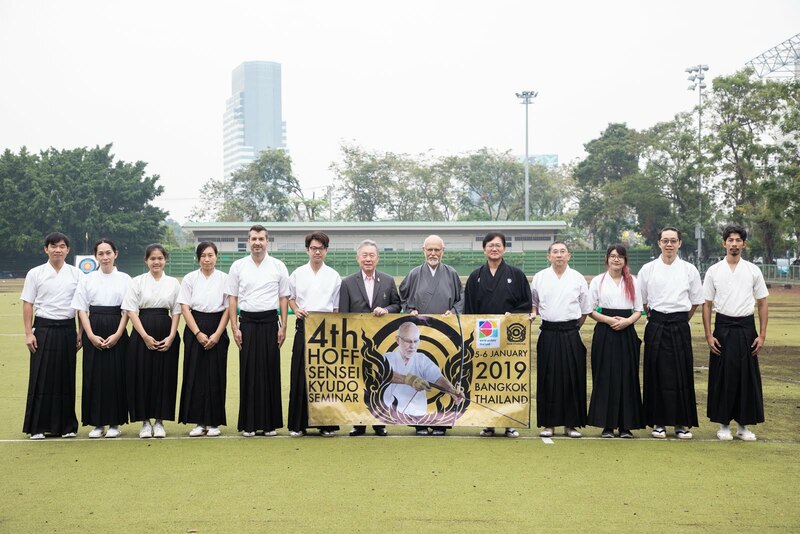 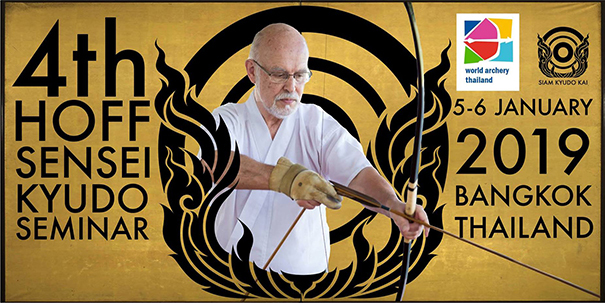 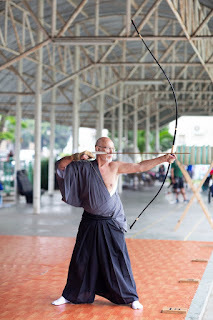 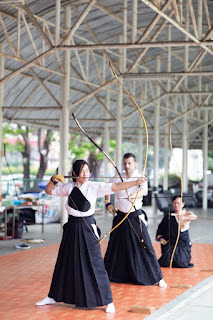 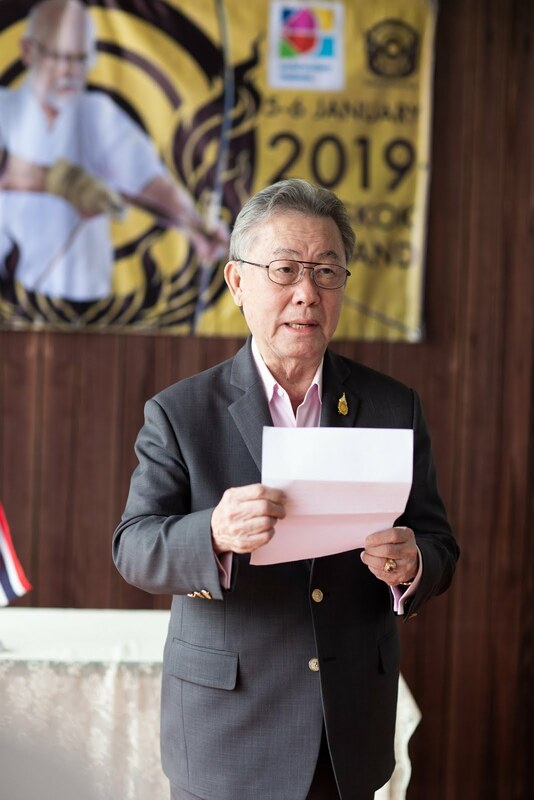 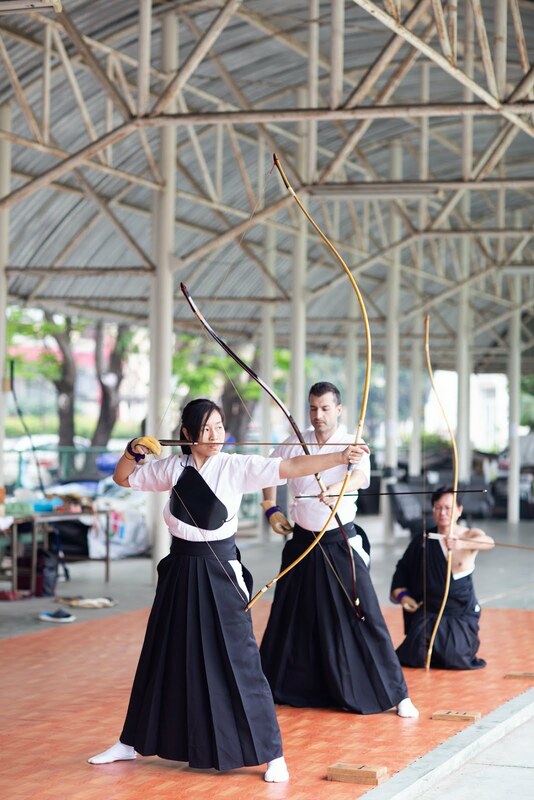 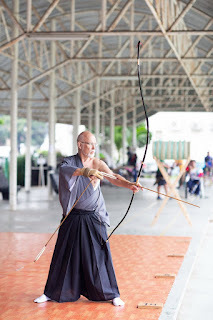 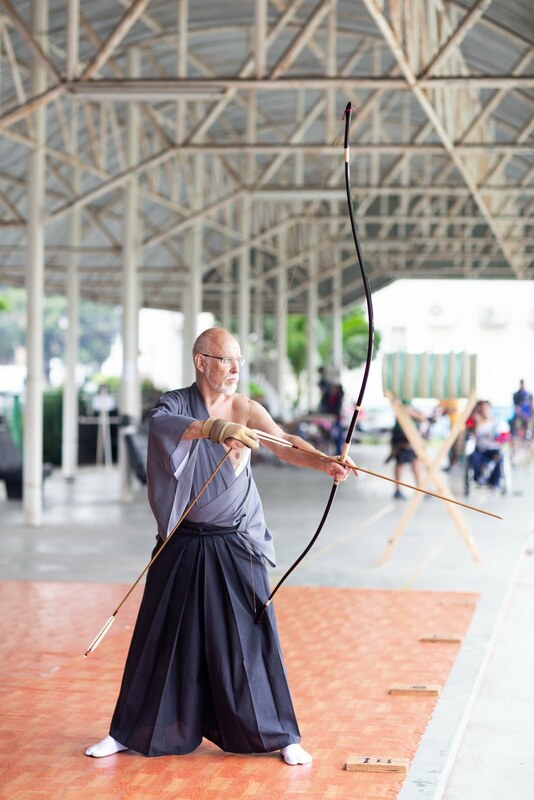 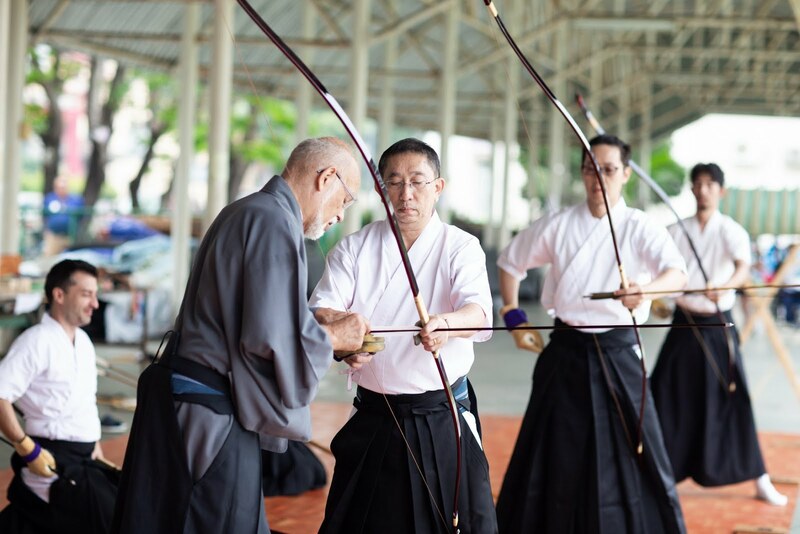 In January 2019, Hoff sensei is back in Thailand with his 4th annual kyudo seminar with Siam Kyudo Kai. 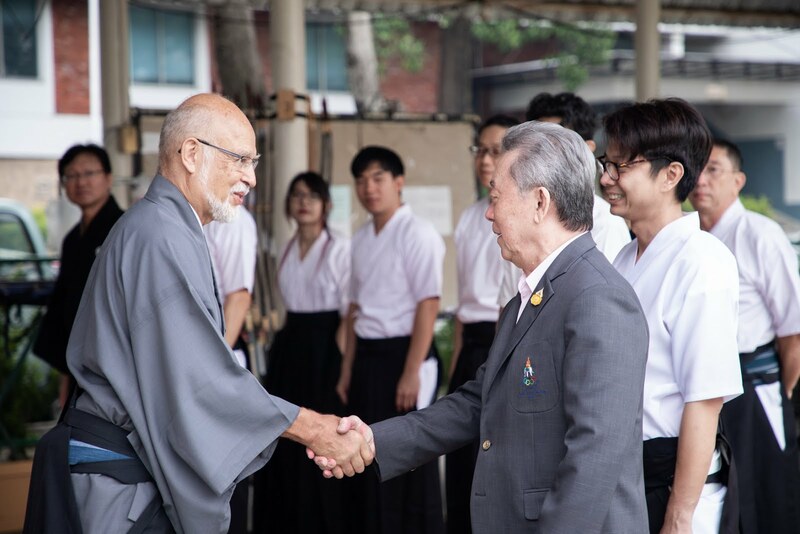 Everyone is very happy and looking forward to meet and learn from him. 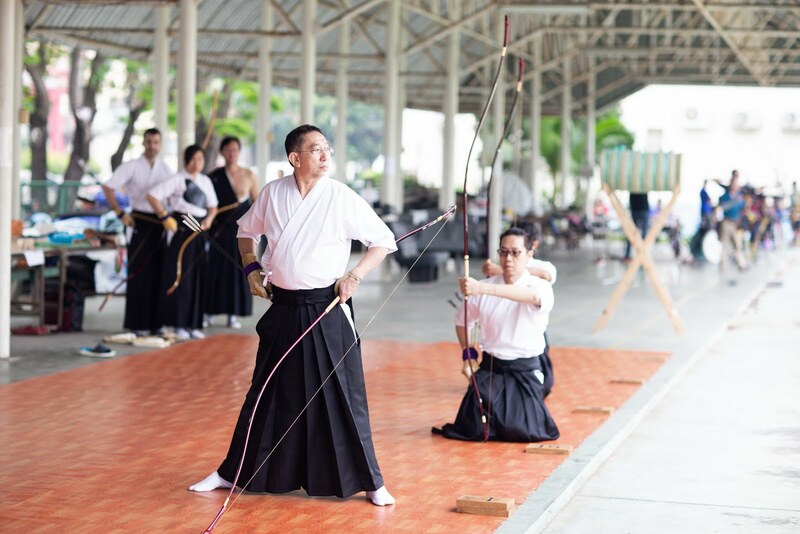 The seminar is held for 2 days at the Hua Mark stadium from 5-6 January 2019.
the National Archery Association of Thailand. Mr. Sanguan Kosawinta, the president of the association, also give us an honor by coming to give a speech in opening ceremony. We start with shinnen shakai then Kin Mato. 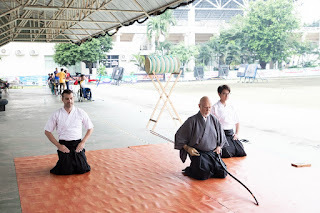 The seminar start from the opening shooting by Hoff sensei. 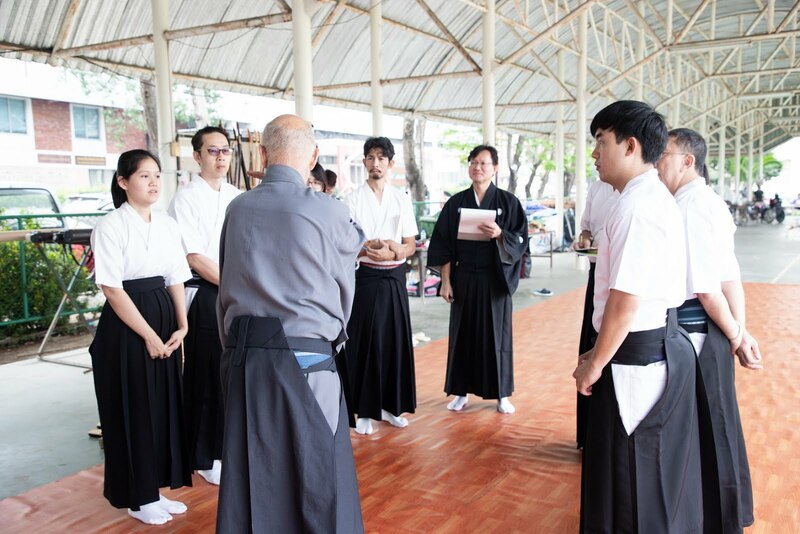 Following with Hitote gyosha, everyone received a guidance. Hoff sensei, as usual, give us a very detailed explanation in both technique and history. 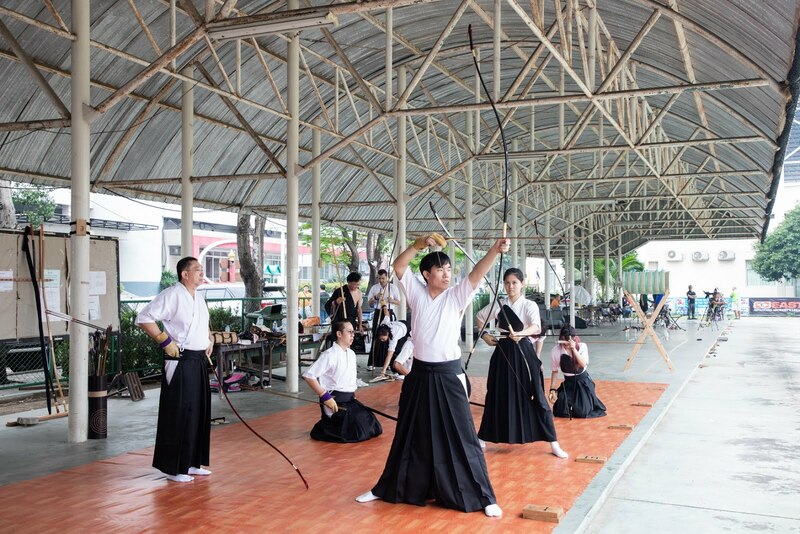 It is something that you are hardly able to learn as a non-Japanese who is not fluent in Japanese language. With just an explanation of Kai, it reminds me how deep Kyudo can be. 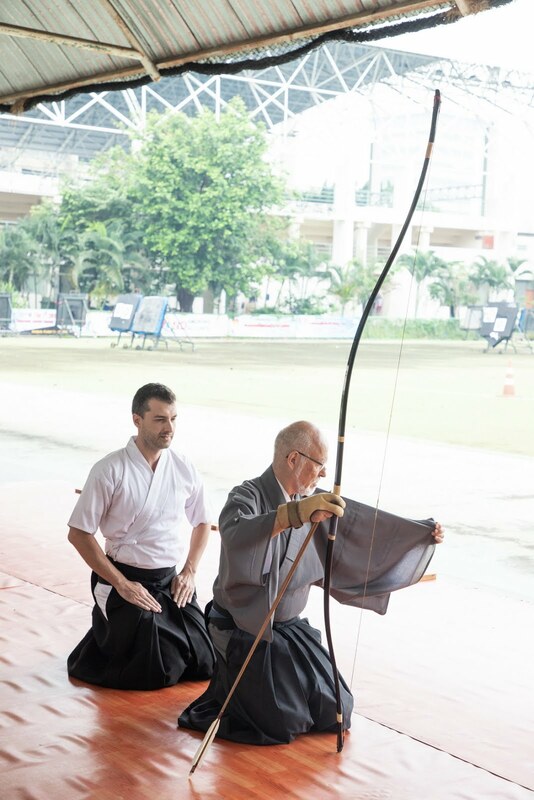 Even after 10 years, there is still so much to learn. 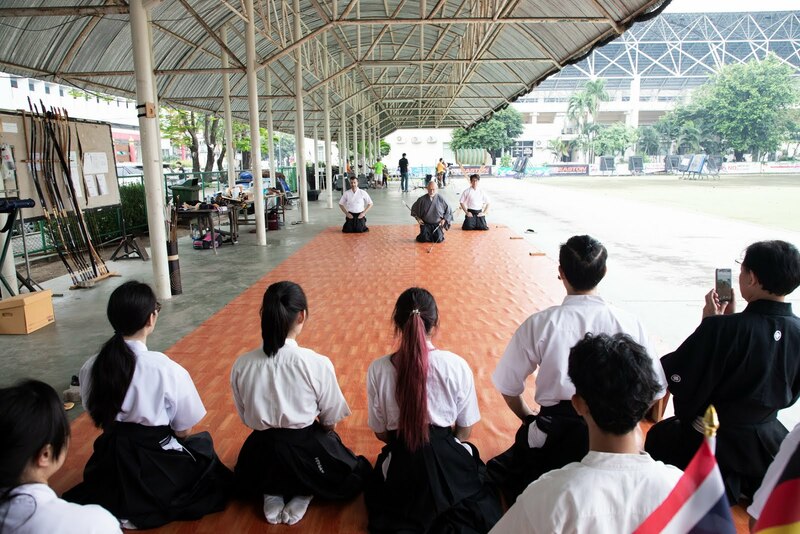 Everyone keeps making notes on the lesson. 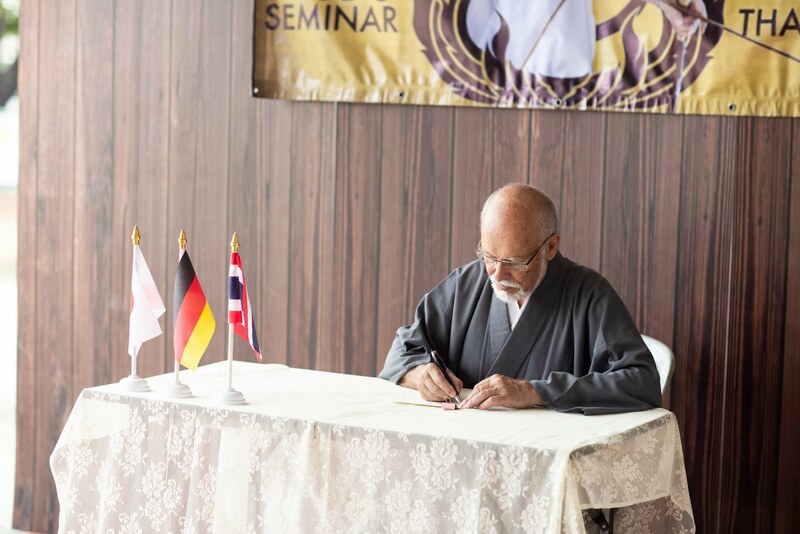 Seminar is successfully ending on second day. 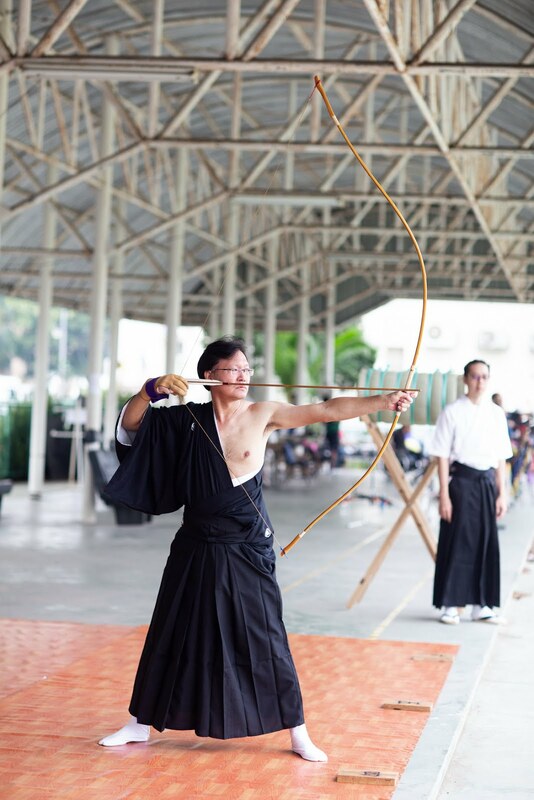 Hoff sensei used to tell me the reason why he support us and everyone in Kyudo so much. 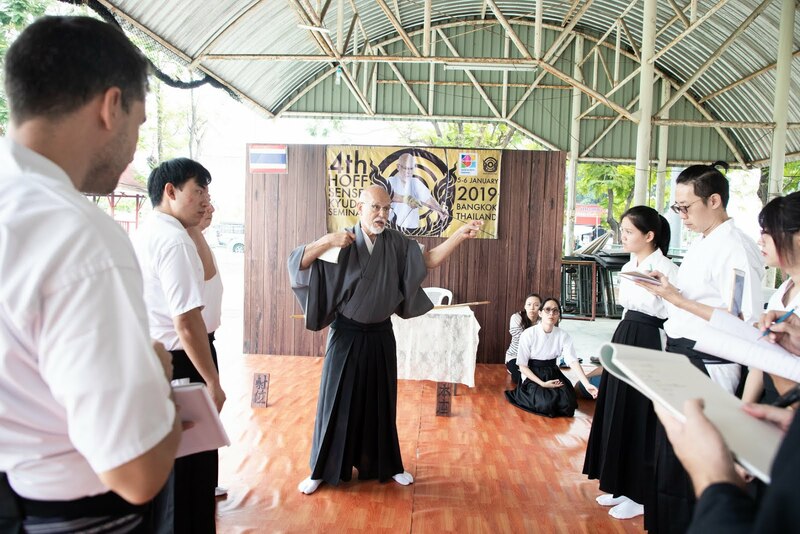 I would like to express our gratitude to Hoff sensei’s kind support again. 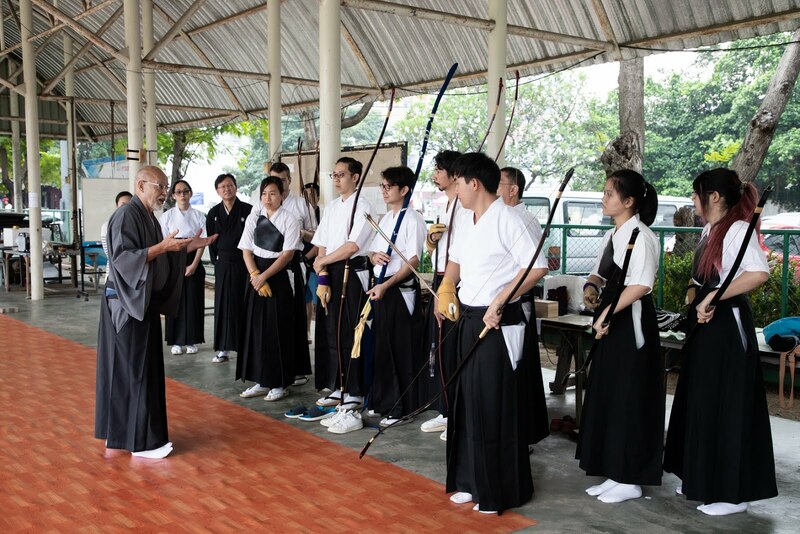 We have learnt, improved and will pass down the knowledge to the next generation.